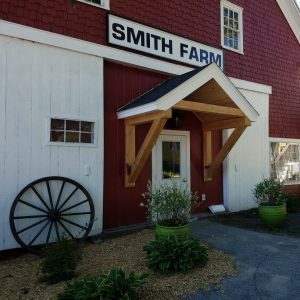 The owner of the Milly’s Skillet food trucks has opened a seasonal restaurant in the same Falmouth barn where the Smith Farm restaurant once served up “Maine country kitchen ingredients and Yankee ingenuity” some 50 years ago. Molly Ritzo has renovated the old barn and grounds at 226 Gray Road and renamed the place The Barn at Smith Farm. The restaurant will be open three days a week, host prix fixe dinners periodically, and serve as a seasonal barn wedding venue with catering services on weekends, she said. The restaurant hours are 4 to 10 p.m. Tuesday through Thursday. 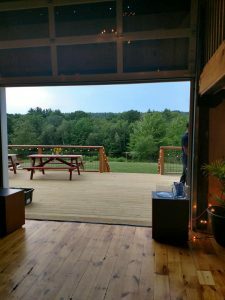 The gutted, renovated barn now has exposed beams, chandeliers, a bar, indoor tables, and a deck with picnic tables. Several fire pits, with Adirondack chairs for seating, overlook Smith Pond. A garden at one end of the yard grows Swiss chard, kale, arugula, herbs, tomatoes, summer squash and other vegetables for the restaurant. Ritzo also buys organic produce from Winslow Farm down the road. At the other end, a “boutique barnyard” is home to ducks and goats. Ritzo is sourcing much of her meat from farms in the Western Maine mountains, where she grew up. On her current menu: pork chops (from Western Maine-raised pigs) and chicken livers, used in a chicken liver and pork pâté. 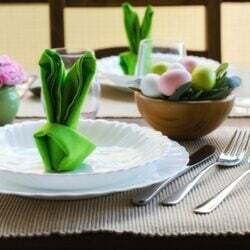 The menu typically features three entrees, supplemented by nightly specials. “To me, it’s all about homegrown, fresh, abundant, rustic presentations,” she said. In the fall, in addition to regular service, Ritzo plans to hold a fixed price, farm-style dinner once a month. Next year, she hopes the dinners will become weekly events. 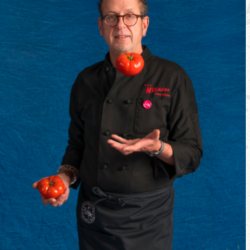 Ritzo said the dinners will be “like a night at the farm,” beginning with playing croquet and sampling food and drinks until the dinner bell rings. After dinner, guests may retire to one of the fire pits for s’mores and night caps. 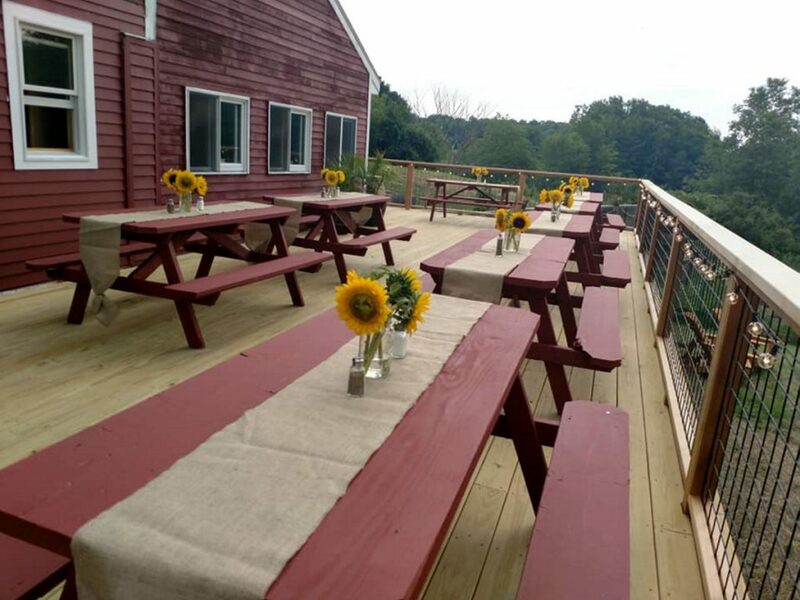 The first dinner is scheduled for Sept. 21; tickets will be available through The Barn at Smith Farm Facebook page.